Blind Spot is a shamefully underappreciated ska band. They're a bit darker than most third wave ska bands, but just as fast and danceable. The songs on this record are filled with excellent hooks and melodies and that driving ska drumbeat. If you hate ska you probably won't tap your feet, but if you can manage to put your ska prejudice aside, this is a solid set of jams. 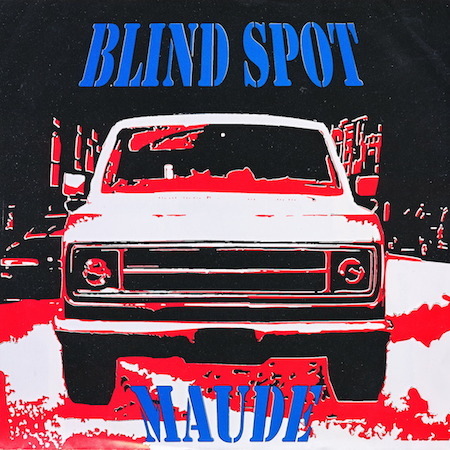 "Maude" is the classic song about the band's tour van. It's got a little latin feel to it at times. Importantly, the first words in the song are "Pick it up!". The band is super tight and every member seems extremely talented. The singer is fantastic and soulful. The drums are spot on. Every horn is perfect. The bridge is a stellar sax solo. I really appreciated hearing the click of the keys in the recording. A little pause then a slow build of tempo and volume to the chaotic ending. You know, I was just remembering the only time I saw these guys. I think the singer was wearing overalls and not working on a farm. So, that tells you about when that happened. "King Of The Mountain" is the best song on this record. Frantic introduction, political lyrics and a pre-chorus that absolutely destroys. This tight, peppy song is ridiculously catchy and rules the hardest. Man, that pre-chorus horn line descending through the notes like a glissade down a snowy mountain... the best. I'm still whistling the hooks a day later. Plus, it's about wealth inequity, one of today's most important topics. If only this song had been more popular you rich jerks could have avoided being called the 1%! "Burly Man" ends the record with a drawn out complaint against those assholes that mosh at ska shows when people are trying to dance. During my ska days, those were definitely the worst. I once tried to tackle a dude that was almost three times as big as me just because he wasn't ska-dancing but just basically walking around and bulldozing people over. I hope he got a bruise from my onslaught, at least. I don't think this Blindspot song will change those guys, mostly because even I started to get bored of the rant at the second jazzy bridge. The song is varied enough for someone really into the topic, but falls a bit flat when you're out of the emotion of the situation. Overall, this is a solid record lost in a sea of mediocre third wave ska bands. Maybe with better distribution, they coulda been a contender.